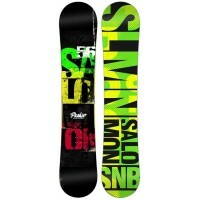 Salomon Lotus Snowboard - Women's. Look good without letting on how thrifty you can be with the Salomon Lotus Snowboard. This soft flexing, all-mountain snowboard is the perfect place for beginners to start. Get going on the Salomon Lotus Snowboard.